The only thing that is constant in this world is change – a common phrase, however this is one that many people fail to consider in real life. While the status quo may be nice, it does not last; if you are not adapting to the world around you, you will be left behind. 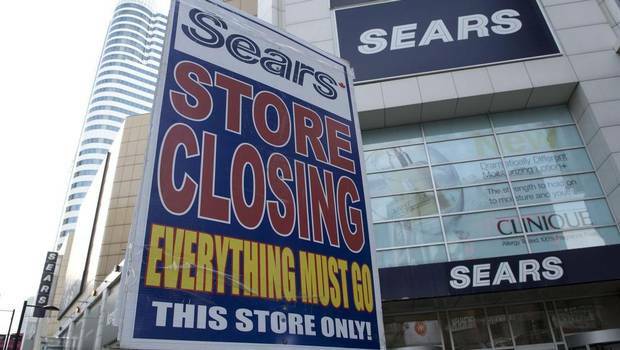 In last week’s post, I discussed some of the challenges Sears Canada has faced and how its failure to respond to their evolving core audience has now brought them to the brink of closure. While Sears has done many things wrong in an effort to stem its losses, its main competitor, The Bay, provides an excellent contrasting example of what it looks like to do the right things in the face of change. When Wal-Mart entered the Canadian market in 1994, they shook up the retail scene across the country. Wal-Mart`s game-changing supply management allowed them to offer a very wide selection of merchandise at low prices. While their foray into Canada had an immediate impact on its closest competitors (Kmart and Zellers), there was a trickle-down effect as middle class consumers were seeing a much more favourable price vs quality ratio at Wal-Mart than they were seeing at department stores such as Eaton`s, Sears, and the Bay. Eaton`s fared the worst out of the big three and within 5 years went bankrupt. Sears and the Bay survived, but were mere shadows of their former selves, as their core audience was increasingly turning to Wal-Mart for its purchases. In 2008, when The Bay was purchased by NRDC Equity Partners, Canada’s oldest retailer was in perhaps even worse shape than Sears. However, today the company is seeing a big resurgence in popularity while Sears has floundered. So what did the Bay do differently? Precisely what Sears did not, and that was that they recognized the winds of change in the air, and changed their brand perception to leverage the assets that made them unique. As I stated in my previous article, the arrival of Wal-Mart created an immense shift in retail across Canada by providing products for middle-class consumers at prices that had not been seen before. As a result, middle-class consumers were able to make many purchases via Wal-Mart, and the resulting spending money left over could be used to purchase higher-end luxuries that these consumers would not have previously been able to afford. The two-tiered purchasing decisions being made by middle-class consumers, coupled with the hollowing out of the middle-class altogether, has allowed low- and high-end retailers to thrive, while the middle-end retailers have suffered. The Bay, having recognized the change in the air, and recognizing that Wal-Mart was going to continue to be a force to be reckoned with, proceeded to rid itself of 900 underperforming brands, and added 330 new, higher end brands such as Burberry and Hugo Boss in an effort to position itself towards the higher-end of the retail scale, without being too far out of reach for the remaining middle-class customers. The Bay’s realignment alone would not have been enough to reverse their fortunes, as the retailer had suffered a long period of stagnation and had lost a great deal of goodwill in the customer’s eyes. The Bay however, had an underused gem in its back pocket: its immense history as the oldest surviving company in North America, one of the oldest in the world in fact, with a history in trading fur, thereby linking the Bay to the history of the Canada and its people. Luxury brands thrive on their story-telling to help emphasize their quality based on tradition, in order help justify their positioning- but they would all pale in comparison to the tradition and history that The Bay has. To take advantage of this, as part of their repositioning in the market The Bay changed its name to Hudson’s Bay, and reverted back to using its original emblem as the company logo, in an effort to capitalize on its rich history and tradition, thereby justifying its move into a higher-end retail category. The Bay’s strategic repositioning within the market, based on both what the customers were looking for and leverage of one of its core assets has allowed this iconic Canadian brand to thrive once again as one of the nation’s top retailers. Understanding what makes you unique, and leveraging that differentiator to satisfy a customer need is what makes a company successful. While Sears failed to recognize what makes them unique and position it to satisfy what their core audience was looking for, The Bay did – and now are well on their way to recapturing their place as an iconic retailer that is returning to relevance again as one of Canada’s top retailers. As many Canadians have noticed, Sears Canada is free-falling into oblivion. 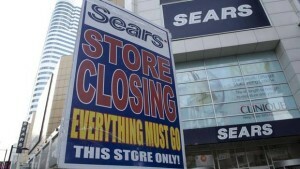 In the last 6 months, Sears Canada has closed many of its prime urban retail locations as they retreat towards the suburbs (where they first started out), layed off many employees, they have had to deal with employees making racist remarks (among many other customer service issues), and they are in the midst of suffering a long and painful decline in revenues. Once upon a time, Sears was a major player in retail – a one-stop shop where one could purchase almost everything they need at a reasonable price. Now, walking into a Sears is one of the most depressing retail experiences imaginable. In an effort to ‘clean up’ their stores for a more enjoyable experience, they simplified their in-store displays for a less cluttered look. However the reality is that while removing a lot of merchandise from the floor, they forgot to repaint the walls, replace the 1970’s era flooring (and staff) and just generally clean up the place. It was a half-assed attempt at trying to revitalize their image, and that lack of care for the little things does not inspire consumers to shop there. It looks like they know the end is near, and are just waiting to be put out to pasture. Even though Sears has clearly thrown in the towel and continue to do many things wrong, there is a fatal flaw that precipitated this collapse: their failure to recognize the changing dynamics of their core audience – the middle class. As a middle child myself, I like to think of myself as an expert in all things middle-child-related, and the big thing that people point about middle children is that they yearn to stand out as they are neither the baby of the family, nor are they the prodigal first child. The same can be said of today’s middle-class. In the digital age, consumers are exposed to a multitude of options, and they are becoming more informed about what is potentially available to them. The result is that the middle-class doesn’t want to have a whole array of middle-of-the-road items. The middle class would rather enjoy the cost savings of purchasing the bulk of their items at discount retailers, in order to afford a few luxury, high-end items, with luxury retailers developing new lines of “accessible luxury” to tempt them. Don’t believe me? Walk into any Wal-Mart and count how many people perusing the aisles are carrying around Louis Vuitton bags. The whole idea of the middle-class consumer has become completely muddied as a result, and it is no longer appropriate to simply bucket customers based on their incomes. In the past, Sears thrived on this middle-income demographic, mainly because discount retailers had not yet achieved the prominence that they have today, and the lack of internet provided less opportunity for the middle class to learn about luxury items that appeared unattainable. But today, this is no longer the case. A second and perhaps more concerning change to the core audience of Sears which failed to spur this retailer into action, is the altogether hollowing out of the middle-class. This creates a division between the lower end of the spectrum and the higher end of the class spectrum. The ensuing consumer gap leads consumers to perceive that they are either at the bottom end of the two-tiered divide (and thus are making most of their purchases at discount retailers), or they are at the other end of the class spectrum and are spending their cash at higher end retailers, in an effort to keep up with the Joneses. This hollowing out and changing self-perception of the middle class has resulted in a declining potential customer base for Sears, with diminishing opportunities for growth, let alone halting their decline. Sears has not done itself any favours by the way they have treated customers of late, for by the state of their retail locations. However the issue that precipitated their demise was their inaction in the face of a shrinking customer base that has evolved in terms of how they make their purchases. Sadly, even if Sears made the appropriate personnel and retail design changes, their brand equity has suffered immensely and their core customers have probably already moved on.